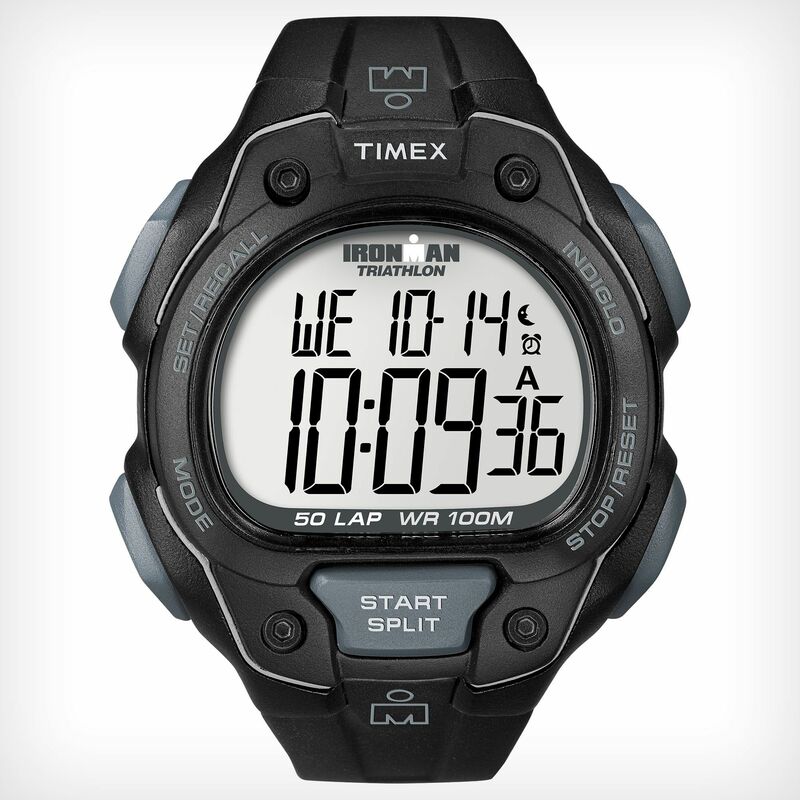 The Timex T5K495 Mens Ironman Traditional 50-Lap watch features oversized styling with easily accessible buttons for easy access to important features. It has a large display ensuring that data is more visible and 50 lap multi-session memory that keeps track of multiple sessions for you to review. The 2 interval timers make adding structure to training sessions simple while a 24 Hour countdown timer provides a definitive duration to a session. The watch also has built in setting reminders that make perfromance features simple and easy to set up and use, while the INDIGLO® night-light enables superb visibility. This full size watch has 100m water resistance. for submitting product review about Timex T5K495 Mens Ironman Traditional 50-Lap Watch.